9. 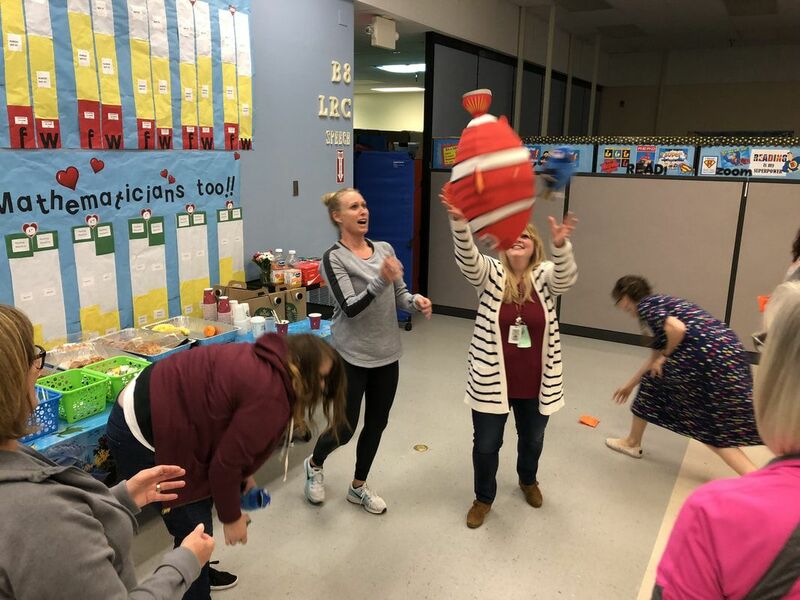 Prioritizing and "Don't Sweat the Small Stuff"
While tossing multiple bean bags, what staff wouldn't be delighted to have a giant fish suddenly appear in the mix to be tossed. 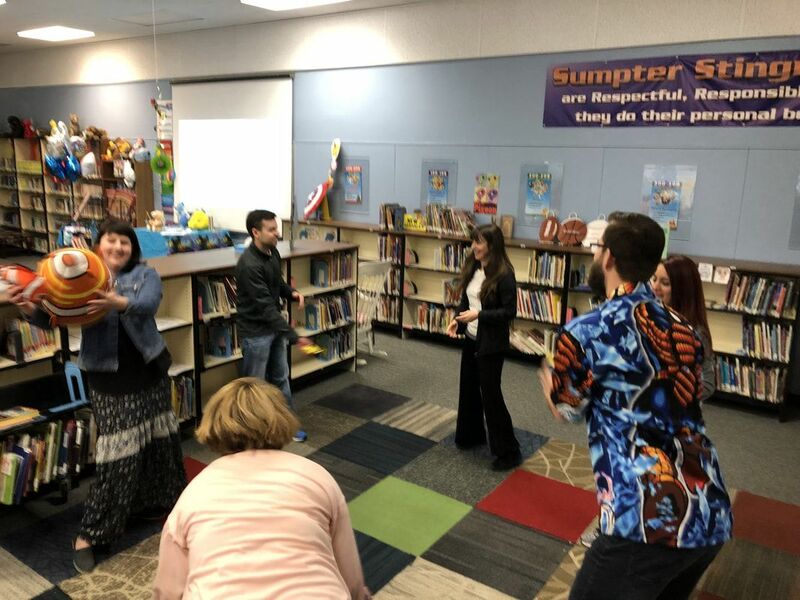 Not too worried about catching the toss as other staff step up to help each other shuffle the multiple bean bags and giant fish being passed back and forth between them. 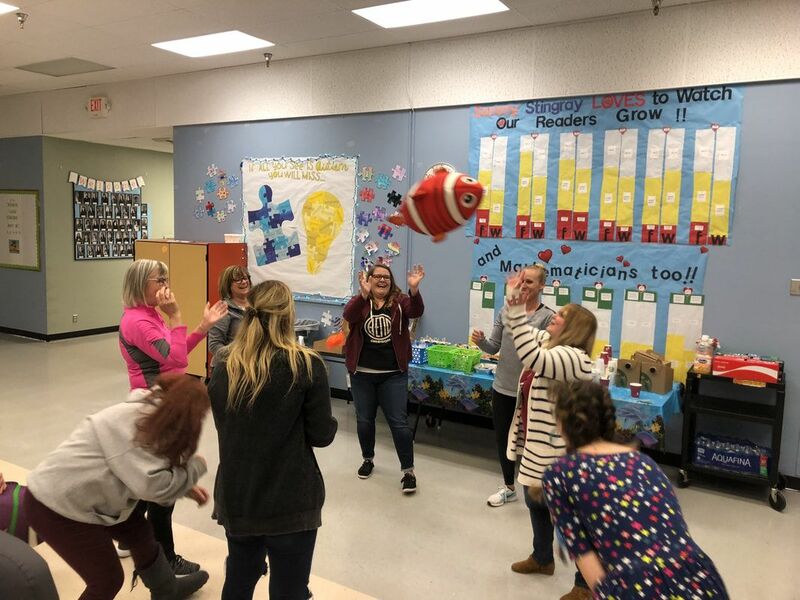 It's starting to look easy but what you need to know is that staff have also been tasked with saying the name of the person they toss a bean bag or fish too and listening for their name to catch what's being thrown.